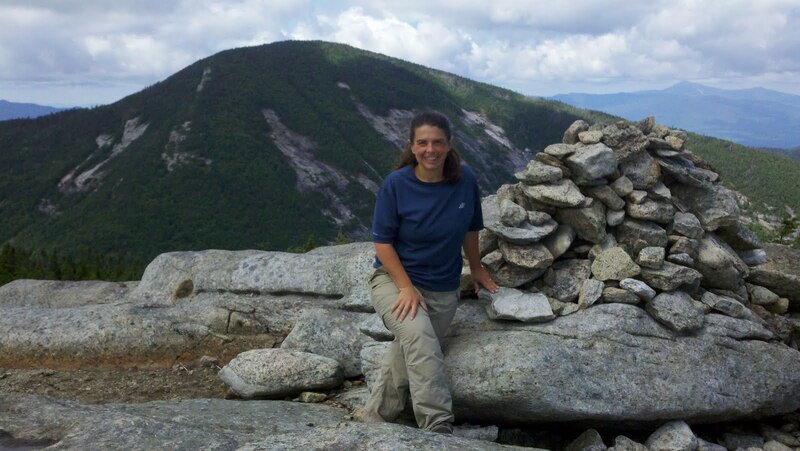 Leesa and I chose Giant Mountain and Rocky Peak for a hike on Saturday. 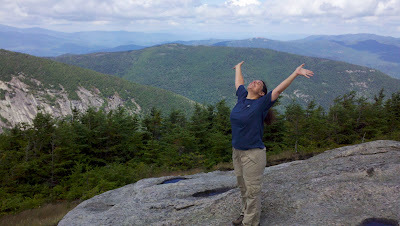 We had both done Giant before, but neither one of us had done Rocky Peak so it would be a new peak for both of us. We left camp at Schroon Lake about 7:45 and were on the trail about 8:30. When we hiked Giant Mountain previously, we had gone up the Ridge Trail, so this time we went up the Roaring Brook trail. The first mile of this trail is really beautiful. After climbing 400 vertical there is a nice designated campsite close to the top of Roaring Brook falls. At an elevation of about 2000' there is another designated camping area with several nice sites on a ridge of tall pines. 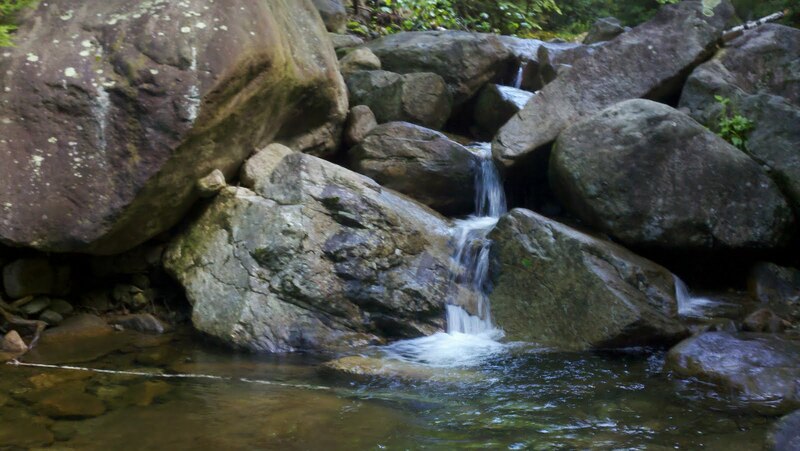 The trail crosses Roaring Brook near this location and we stopped at this point on the return trip to take our boots off and stick our feet in the cold water. 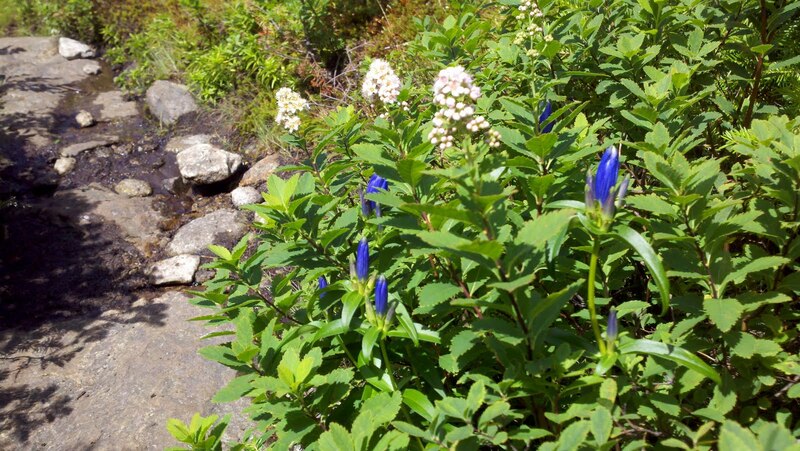 At 3200' the alpine zone changes and the ascent also gets a little steeper. 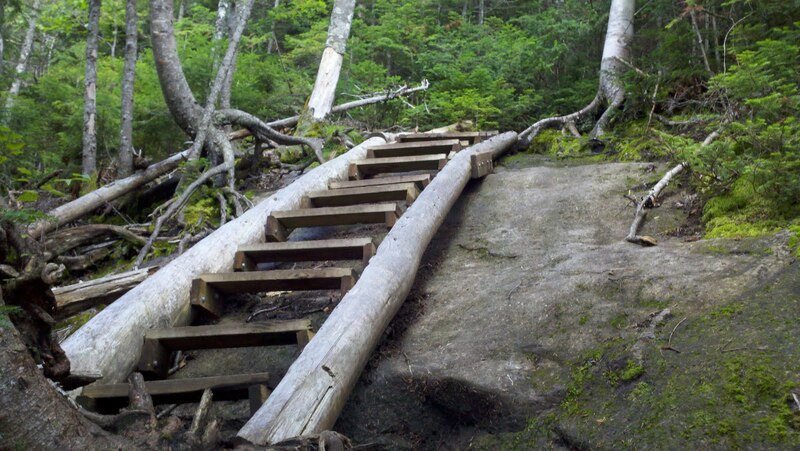 There is a ladder at 3800'. Several openings in the trees give fine views to the west. After 2.9 miles, the trail connects with Ridge trail for the final .7 miles to the summit of Giant Mountain. 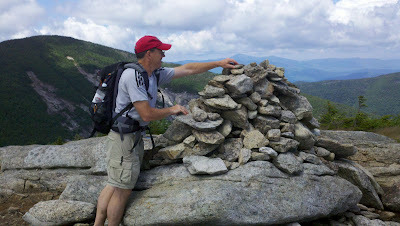 The trail to Rocky Peak vears right just .1 miles before the summit of Giant. We went to the summit of Giant to have a snack and enjoy the view before continuing on to Rocky Peak. 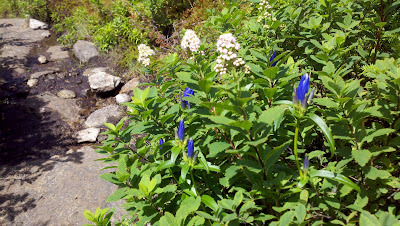 The trail to Rocky Peak quickly descends to a col at about 3775' before ascending once again to reach the summit of Rocky Peak. Rocky is mostly open rock at the summit and gives a wonderful 360 degree view including views of the Great Range, the Dix Wilderness, Lake Champlain and Vermont. Looking east along Rocky Peak ridge, towards Bald Peak. 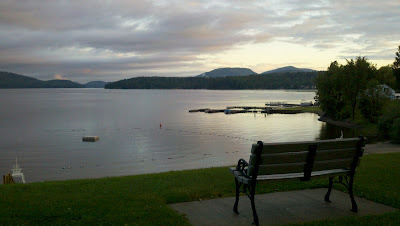 Marie Louise pond can also be seen in the distance. Looking west northwest towards Giant Mountain, with Leesa standing next to the rock cairn on top of Rocky. 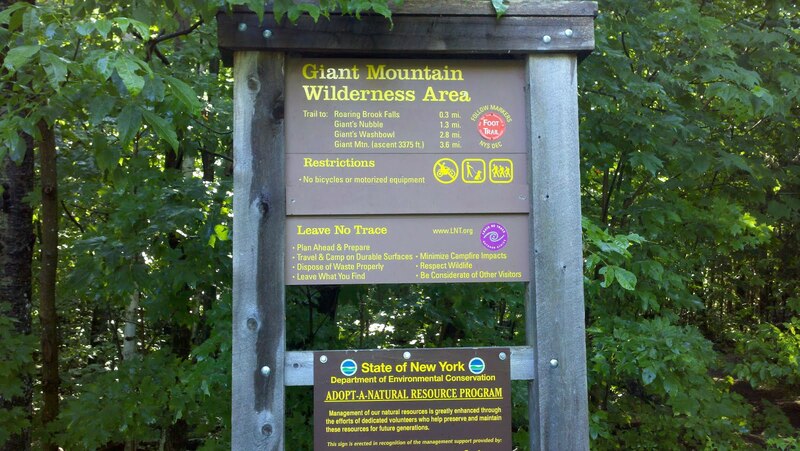 We retraced our steps on the return by re-ascending Giant Mountain, then descending on the Roaring Brook trail. Just before we got back to the car, we stopped to take the short side trail to the base of the falls. There is not a lot of water coming over the falls this time of year, but its' still a nice spot to stop and get wet. 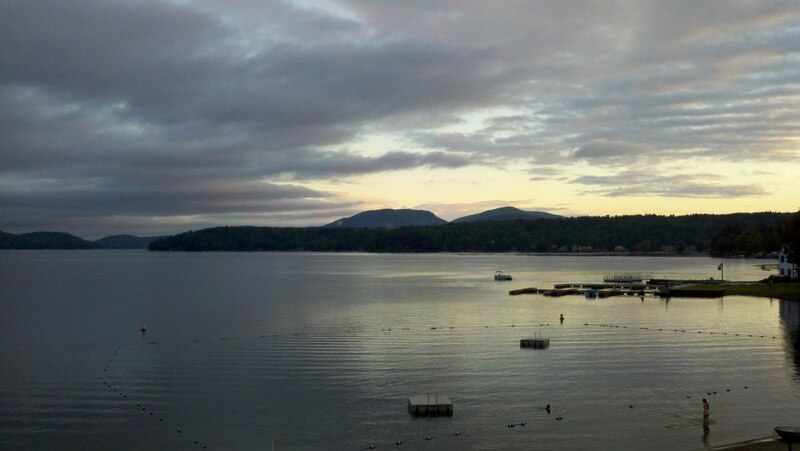 We were back to the car about 5 PM and back to Schroon Lake in time to enjoy a nice view from the beach. We had a very nice day. There were no bugs on this trip and the weather was great. 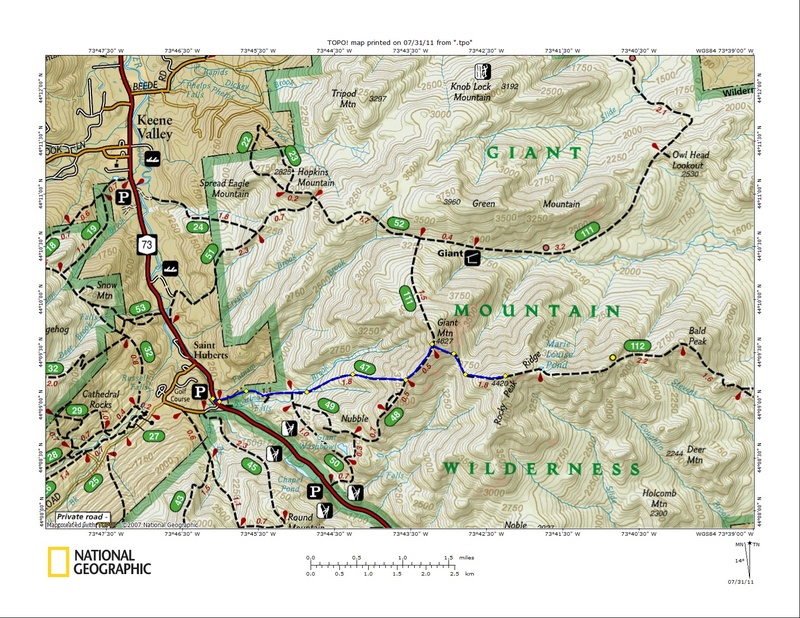 A future trip will be to climb Rocky from the east starting in New Russia and climbing Rocky Peak ridge and Bald Peak. 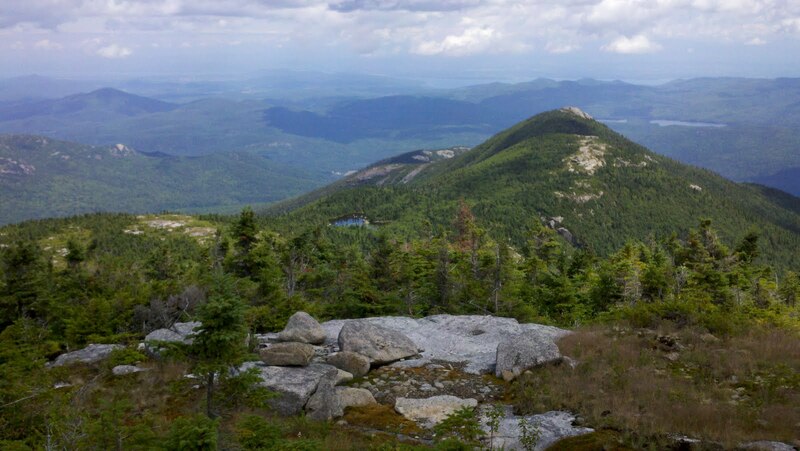 I have hiked to the summit of Giant Mountain twice and it is beautiful. 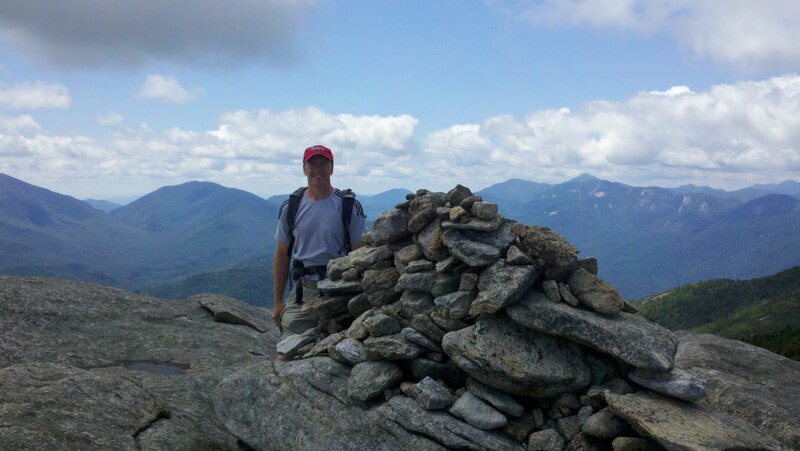 Next time I go I am gonna have to check out Rocky Peak. 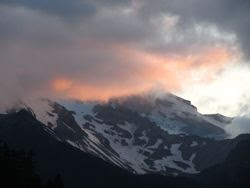 The part I loved most about the mountain was camping there. 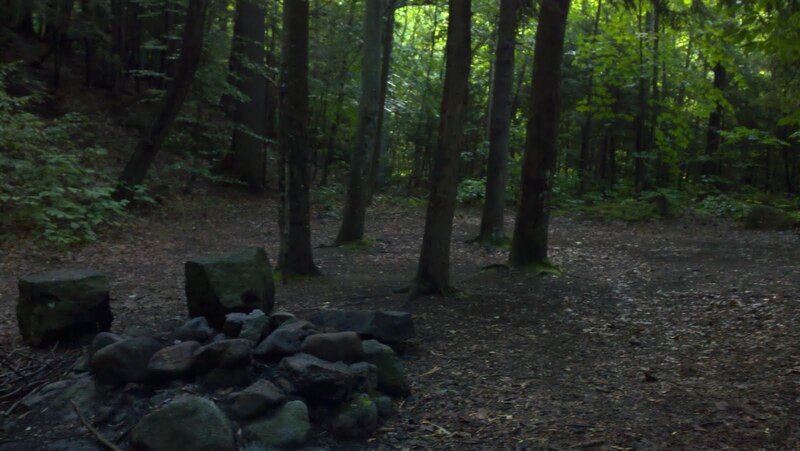 We camped at the designated campsite near the top of Roaring Brook falls, with a fire-pit already constructed and a nice cleared flat area with a few tree to set up tent's or hammocks (shown above in the picture). We loved it so much we came back to the same spot a year or two later for another trip. 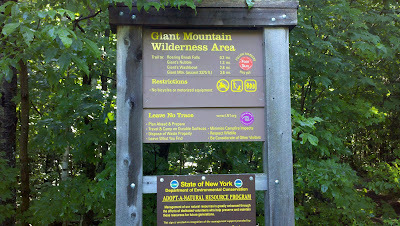 The second trip to Giant Mt. we stayed a little longer and had time to see everything the mountain had to offer. The main peak, "Giant's Washbowl", and the "Nubble", each is rewarding.